Sir: When 51% of Sarnians didn’t bother to vote, the expected happened for the morally decent in our city. The overwhelming union steamroller, assisted by some of the older generation (who could not believe or accept the real reasons for the problems at City Hall), took the day, not only for the mayor but for many of the councillor positions as well. Those supporting union members in good well-paid jobs, and those equally well paid from the public purse with pensions and benefits, will be well pleased with the outcome of this election. In a democracy we accept the majority vote, no matter how it is achieved. The dislike of Anne Marie Gillis was palpable, but when asked why, many cannot explain their reasoning, basically because they do not know her. They just believe fictitious information purportedly from a genuine source. She did her job as a councillor with honesty and integrity, for the decent people of Sarnia, and for that we are thankful. Personally, I cannot be magnanimous in defeat. My Canadian father was a decorated Lancaster Bomber pilot during WW2, and I followed with a lengthy career in the British Army where integrity and leadership were not just words. To see this result is not only disturbing, it really epitomizes the way standards have deteriorated in everyday life to an unacceptable level. Popularity, no matter what, wins the day. Many supporters expressed satisfaction that the mayor was vindicated by this result. Really, I suppose, they also believe the Holocaust did not happen. The decent citizens of Sarnia can only hope that the next four years will not be a repeat of the last 30. Sir: I know it’s a done deal, but I was resting on a bench in Centennial Park after a walk from Northgate: looking out at the downtown, Chemical Valley, marina, the freighters going by and people walking with and without their dogs. Then appeared from near the Humane Society, around the mound —running, staggered in intervals, seniors from a Great Lakes Secondary gym class on an exercise run around Sarnia Harbour. I felt sad. What a shame that future students will never feel or experience the thrill (even if they don’t know it) of running, experiencing Sarnia’s waterfront and downtown. They will probably run around a bland sterile track at the new Great Lakes – seldom going to the harbour. Shame on those for closing SCITS and not refurbishing it for 2018 and beyond. Too bad that Sarnia could not do better. Sir: The letter from Stanton Earle (Sept. 27) was fascinating. Animosity boiled to the surface throughout his diatribe. It seemed like he was conducting a history lesson and lecturing a few errant students rather than developing his talking points for his party. Stanton Earle is a persistent and vocal ‘die-hard liberal.’ From his letters, you can surmise he is an elderly retired male who spends an inordinate amount of time researching newspapers, reported events, Hansard transcripts, etc. He detests U.S President Donald Trump and Sarnia-Lambton MP Marilyn Gladu, and labels anyone who disagrees with his ideology a Conservative or disciple of that party. He talks about compassion and caring, but for years has attacked the character and integrity of anyone who challenges him. He is obsessed with Marilyn Gladu, and has compared her to the president, which is absurd. Canada is a nation of immigrants. Canadians are compassionate, but most believe in a merit-based immigration system and are willing to accept genuine refugees. Allowing “illegal economic migrants” to cross our border at random, and at great expense to taxpayers, is extremely unfair. The system is broken. And it is very misleading for the Liberal government to refer to these “illegals” as “irregulars.” Instead of insulting his critics, Mr. Earle should defend his party’s policy. Some time ago, Prime Minister Justin Trudeau gave an interview and bragged about wanting to be the first Western leader to create a “post-national state.” What does this mean, exactly? A recent Forum Poll indicated there would be a Tory majority government if an election was held today. It’s likely going to get worse for Liberals. Canadians are electing conservative-minded provincial governments and interest rates continue to rise. Some economists predict a stock market correction and weaker economy next year. Sir: Excitement was high at Stokes on the Bay as supported waited to hear the news that Mike Bradley would once again be mayor over the city he loves and works so hard for. 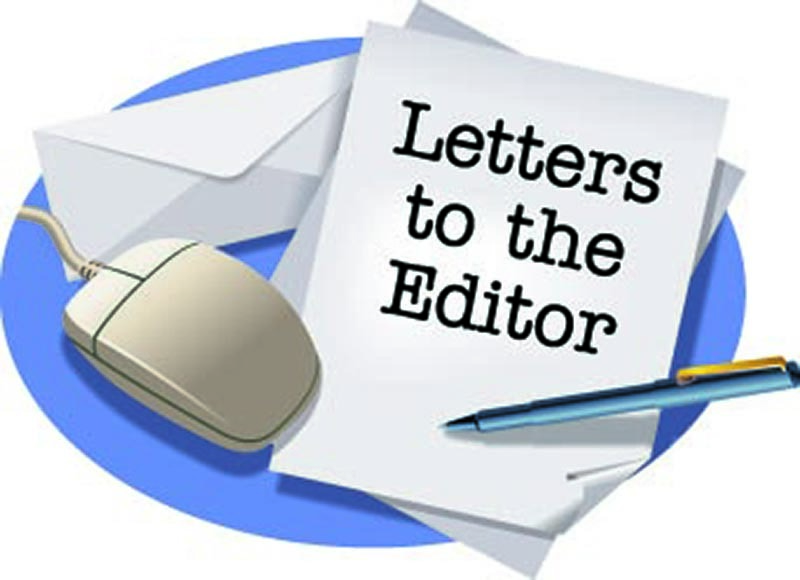 I am proud of Mayor Bradley and Dave Boushy for their honesty and integrity among such derogatory letters to the editor, emails and phone calls. Even though I live in Point Edward I worked on the campaign. In the end, lies and nastiness do not win, but truthfulness does. Shouts and clapping resounded and a pipe band led the re-elected mayor down the aisle. The second-longest serving mayor in Ontario. He did not win by a few votes, but doubled that of his opponent. 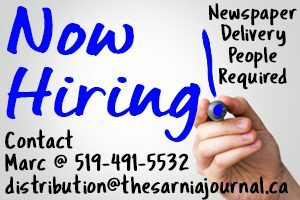 Sarnia, “take down that wall,” change the locks and re-instate Mike’s salary. I wish Anne Marie Gillis a good life ahead, and congratulations Mayor Mike. Sir: Our civic election is over and for better or worse (let’s all hope it’s the former!) a substantial majority of voters re-elected Mike Bradley mayor, together with a fundamentally different group of city councilors. Before going further, I would like to congratulate all of the citizens who participated in this election as candidates. Independent of their motivations or platforms, everyone should feel justifiably proud of their active role in sustaining this important democratic process. Well done! Verbally and on the public record, thank each and every one of the individual members of the previous council for their commitment and tireless efforts to make our City a better place for all. Publicly and personally commit himself and every member of the new council to participate in the Coaching and Sensitivity Training session on Harassment & Effective Management. In front of council, the public gallery and TV6, verbally apologize to the CAO (and other former staff in absentia) for his inappropriate behaviour during the previous term, and commit to fostering a cooperative, supportive working relationship. This isn’t about style, it’s about his personal integrity and accountability as a man and the leader he professes to be. Real leaders don’t demand accountability from others for their actions unless they’re prepared to be held accountable for their own. Sir: It was only a year ago that the city was proposing a bylaw that stated owners of trees would be required to seek city permission, and then pay for a permit, before being allowed to take down a tree on the owner’s own property. Now there is a request for a wooded area to be exempted from protection in the city’s Official Plan. Neighbours are understandably opposed. Is the city so fickle as to even consider this? One year we are worrying about saving the city’s trees, and the next, we are considering whether or not to allow a developer to decimate this tree lot. Between the tornado and Dutch Elm disease, which went through our community, the city lost a lot of its tree cover. Then, when the city expanded, it was into what had been farmland, with very few tree lots in evidence. Some of those were cleared out to make construction easier. Now we are, supposedly, treasuring our trees. Why then would this application even be considered? Did not the developer know of the Official Plan before he bought the property, and if not, why not? This was a gamble that it would be changed. This city should stick to its guns, and refuse any change to the designation of this wooded area. Sir: As a Sarnia resident born and raised, I have I followed all the issues our mayor had with City Hall. They should take down the wall and give our mayor the peace and happiness he has giving the public. Our mayor should be able to come and go whenever he wants at City Hall. He has been doing a wonderful job and continues to do what he can for the people of Sarnia. They can count on our mayor, and he will continue to do his best and share his expertise. The city should hold a great, citywide celebration for Mike Bradley this year, for all to come out and show their appreciation for his service. Sir: Studies done to indicate that fluoride is good are not freely seen or read by the general populace. How are parts-per-million determined in an aqueous solution concentration to constitute a safe chemical in drinking water to promote good health? The general populace has no alternative but to accept scientific studies as the truth in these descriptions of promoting good health. Those who question scientific studies are deemed to be ignorant, unable to gauge the meaning of what is said in them. The general populace who read and study on their own about finance, politics, health and the world climate, and form their own opinion about what is the right or wrong, are doing what scientists and other educated experts have done, which is read and study. Fluoride in drinking water does not make very good economic sense. Half of the fluoridated water, if not most of it, goes into the sewer without touching a single mouth. How much does it cost to fluoridate the water? I would like the authorities to provide the chemical name of the fluoride used. Where does the city get it? Saying scientific studies can be found on the Internet is not the same as authorities freely making them available to all who want to read, study and critique them. Doing so seems to be a bugbear to the authorities. I suppose that is how secrets are concealed. Sir: Regarding the guest column of Susan MacFarlane on consuming fluoridated water (Aug. 16, 2018), I completely agree with her assessment. My entire family have been using fluoridated water since I was born and none of them suffered any dental problems. I believe that as long as the people involved brush their teeth regularly, then any effects fluoridation has with regards to dentures, etc. can be greatly minimized, if not ignored. Further, letter writer Rod Gowrie has insinuated that fluoridation affects intellectual capacity of a person, from the fetus up. I have advised Mr. Gowrie that I have been consuming said water for 36 years, and yet I graduated as an Honorable Mention in High School, ranking 12th out of 1,019 graduates, and was a half scholar while taking up Mechanical Engineering at Mapua Institute Of Technology (MIT of the Far East), and passed the mechanical engineering board exam.